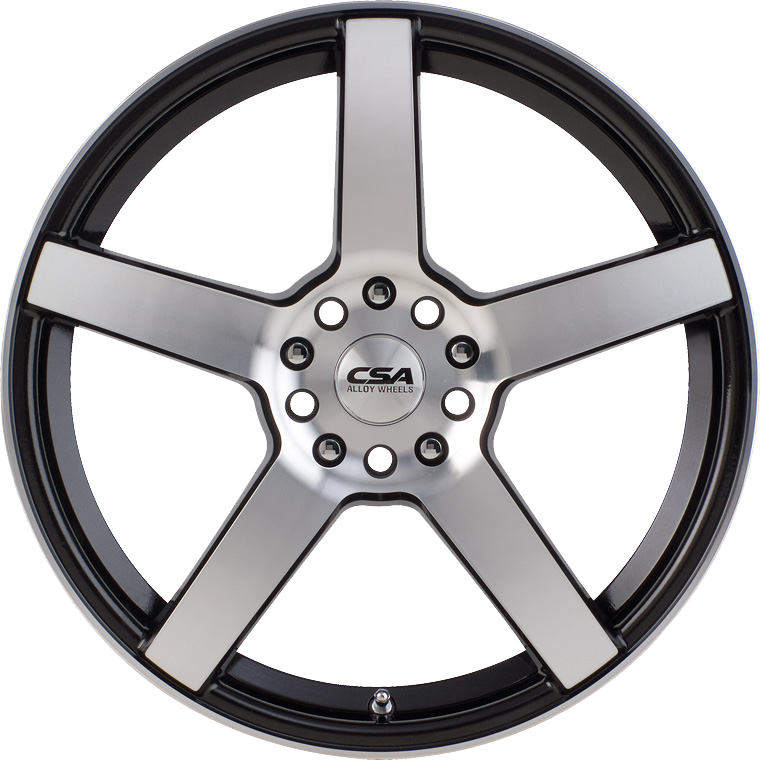 CSA Essen is a contemporary, stylish 5 spoke wheel with a spectacular Gunmetal Black, Machined Face finish. CSA Essen is a contemporary, stylish 5 spoke wheel with a spectacular Gunmetal Black, Machined Face finish. Beyond the front face, subtle contour changes have been produced along the spoke edge to create detail and enhance the appearance of the wheel beyond that of a plain 5 spoke. Available in 15x6", 16x6.5", 17x7" and 18x7.5" the ESSEN wheel suits a wide range of Small to Medium Passenger applications, such as Mazda 3 and Mazda 6, VW Golf, Ford Fiesta and Ford Focus, Hyundai Sonata, Honda Euro, Audi A5 and Subaru WRX. This wheel is load rated at 690kg and multi-drilled in a number of PCD configurations to ensure that every base is covered in terms of fitment and legal specification. If you are looking for a classy option to customise your vehicle, then the Essen wheel is just what you're after.